These are the cars of the week-long Monte Carlo Historique rally, which ended last Friday. It appears to be classic car heaven. This picture looks like it should have been taken some time in the late ‘70s, not at the start of 2013. 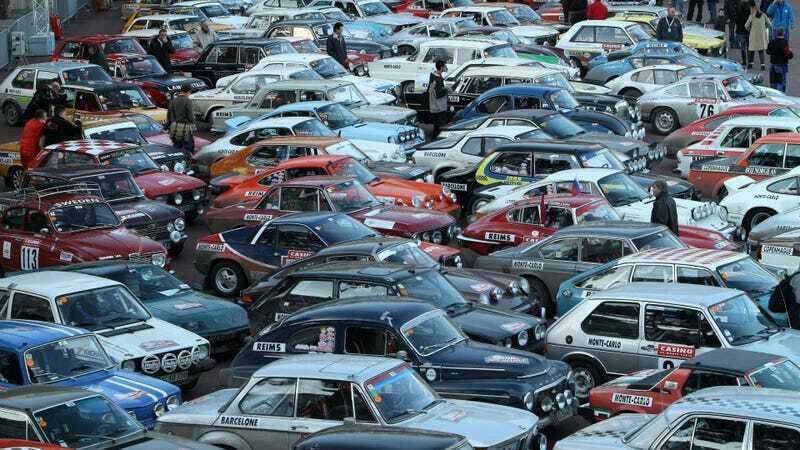 The event had around 300 entries running the world-class driving roads in the south of France, and was both organized and won by Renault Classic.